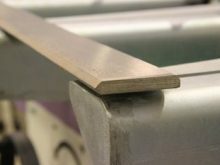 Side grinding, finishing and beveling of flat bars. 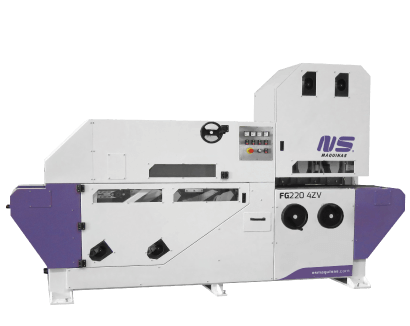 TR120 is a side grinding and edge deburring machine for metal plates or flat bars. 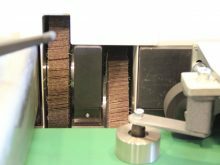 The horizontal and oscillating abrasive head grinds and cleans the edges of bars or metal sheets, while the two counter rotating lamella wheels (2L) create a round edge both on top and bottom of the material. 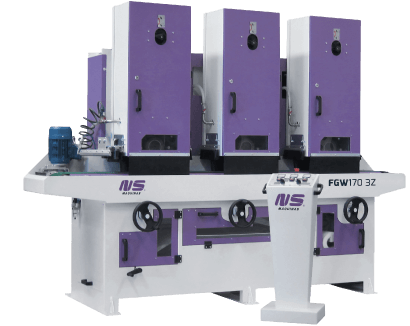 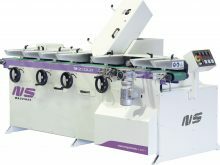 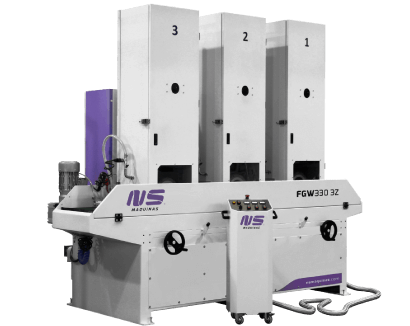 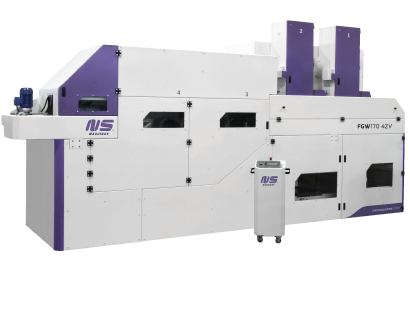 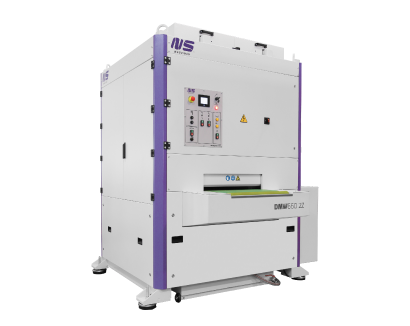 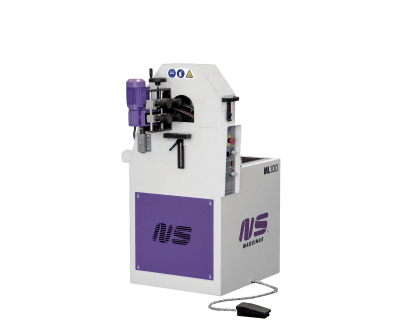 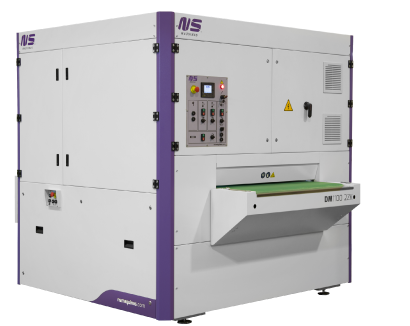 This machine is available with single, double or triple side grinding head – versions TR120 Z, 2Z and 3Z – with or without the two lamellas. 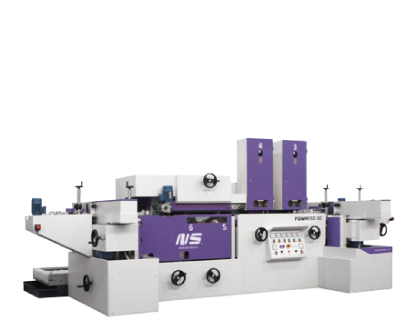 There is also a version of this machine with the stations positioned at 45 degrees (2X). 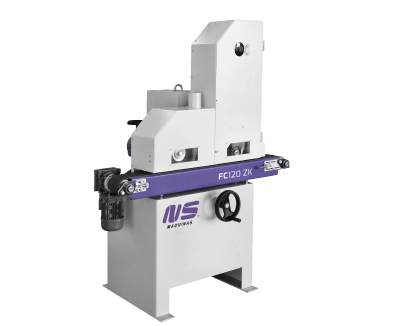 TR120 is ideal for stainless steel flat bars side grinding. 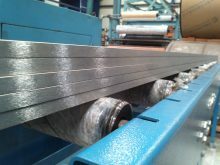 The abrasive belts, 120mm wide, heads oscillate on the width of the bars. 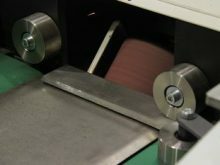 This movement allows a constant wear of the abrasive and a lower heat process. 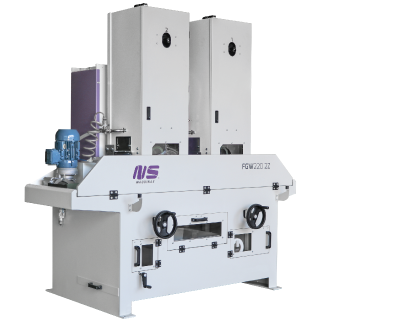 High productivity and consistent finishing on 6 meters bars. 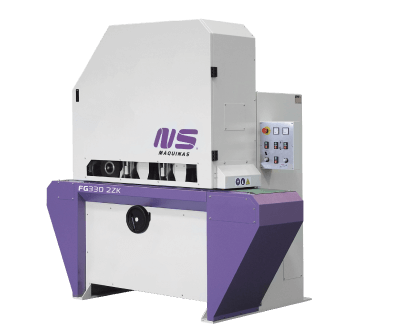 Possibility to equip the machine with 2 counter rotating lamella wheels for sharp edge breaking after side grinding heads. 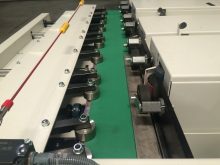 Constant side pressure on the entire length of the bars by single adjustment pressure rollers system. 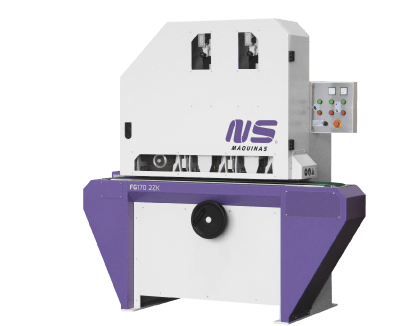 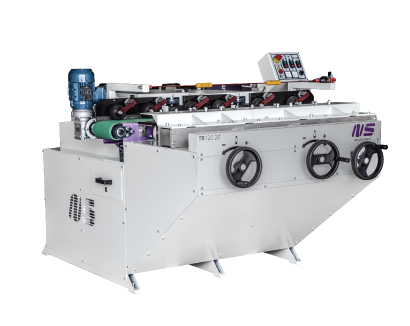 TR120 can be equipped with 45 degrees bevelling heads which can be used for metal sheet, plates or flat bars. 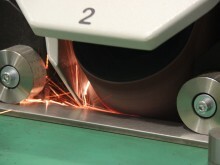 Oscillating bevelling head positioned at 45 degrees for upper edge grinding. 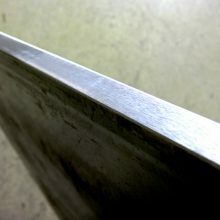 For lower bevelling of the plate. 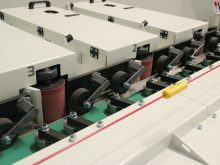 Example of upper and lower bevelling in one single pass. 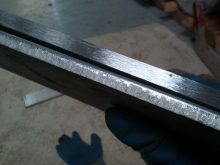 Metal sheets or welded structures weld grinding and finishing.